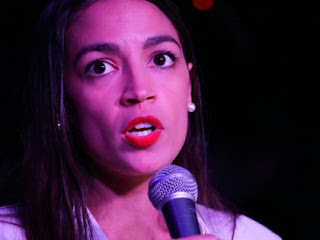 Be very clear on this point, Representative-elect Alexandria Socialist-Cortex is not just another Soro$-sponsored and supported creature, she is intended to be the fresh lipstick on the old Socialist pig. - The Left will enforce its policy of "conform to us, or be marginalized, have your career destroyed, or worse"... because their ideas are so good they have to be mandatory for you. 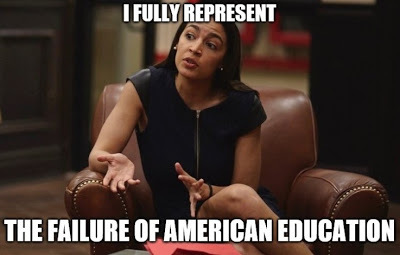 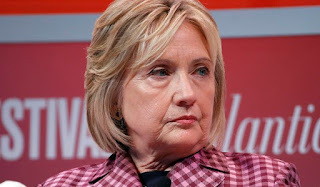 Old pig, new pig, it's the same old Socialist pig...and it represents not only the current failure of the "progressive-controlled" educational system, but the intended future failure of the Constitutional Republic to make way for the People's Democratic Socialist (one party) state.